How do you articulate your community’s values? Cecilia Clarke, President and CEO of the Brooklyn Community Foundation, shares her experiences listening to over 1,000 community members about their vision for Brooklyn, and how those insights helped redefine their work and organizational values. She also shares tips on how to articulate your nonprofit’s values and get to the underlying why of your work. Sarah:	Hey, welcome back to the Smart Communications podcast. I’m Sarah Durham. I am here today with the fabulous Cecelia Clark. Welcome, Cecelia. 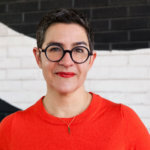 Sarah:	For those of you who don’t know Cecelia, she is the President and CEO of the Brooklyn Community Foundation, which is the first and only public foundation solely dedicated to Brooklyn’s charitable community. It was founded in 2009. She took it over in 2013, I believe. Sarah:	And since then, since 2009, the foundation has provided over $40 million in grants to more than 300 nonprofits throughout our fine borough. They’re on a mission to spark lasting social change, mobilizing people, capital, and expertise for a fair and just Brooklyn. For more than 20 years, Cecelia has successfully managed and developed nonprofit organizations in New York City with an emphasis on social justice and community and cultural advancement. She joined the foundation as I mentioned before, in September 2013, and she led a holistic transformation process that I’m going to ask her to talk a little bit about, you’ll hear about in a minute. Sarah:	But before that, she had a lot of great leadership chops. She was the founder and executive director of the Sadie Nash Leadership Project, an innovative educational leadership program for low income young women from New York City and Newark, New Jersey. She was also the executive director of Skowhegan School of Painting and Sculpture, that’s definitely a place I’ve always wanted to go, and Associate Director of the Drawing Center, and also did some government fundraising work at the Brooklyn Museum. She got her start as a social worker, counseling women at Fountain House, a clubhouse program for the mentally ill. I’m delighted to have you here. Thanks for coming. Sarah:	We’re going to talk today about values, because the Brooklyn Community Foundation is a terrific example in my opinion of an organization that doesn’t just talk about values, but really lives its values. And so, I want to get into how those values came about and how you use them. For starters, tell us … And we’ll link to your values, we’ll talk them through, but we’ll link to them in the show notes. But tell us a little bit about when you came to the foundation, what was going on, how you saw the path forward, and why defining its values felt important. Cecelia:	So, just a little bit of background on the foundation itself. Actually, its very beginnings was as a bank foundation. Then in 1998 through an IPO, really that began the first set of assets, if you will. So, it was called Independence Community Foundation after the bank’s name. And so, in 2006, 2007, there was a decision to in fact, transition this bank foundation to become a nonprofit, to become a community foundation for two reasons. One, to bring it back to focus on Brooklyn, kind of acknowledging the roots of the bank originally. And also, to make it a nonprofit to raise more money for Brooklyn. In ’09, they went from a bank foundation to a community foundation. Cecelia:	I had a little pushback from the board member who asked me, but then another board member jumped in and was like, “You know, she might be right because we’ve actually been spending a lot of money on marketing, and I’m not sure it’s really working.” That really stuck in my head. Apparently, right before I got there that summer, they had a consultant talk to grantees about what the grantees would like to see the Brooklyn Community Foundation be. What I understood, because I think I got the tail end of her presentation right after I’d gotten there, essentially, it boiled down to one thing, which is what is the foundation’s point of view? Why do they matter? And that even if it meant no longer getting money, it would be nice to know that they had a point of view. Cecelia:	Rather than the CEO coming in and saying, “Tada, this is my vision,” and I was like, “No, no, actually, I better listen to my community.” And so, we launched something called Brooklyn Insights, which I would encourage everybody to see brooklyninsights.org. Sarah:	And you can download the report? Cecelia:	You can download the report. It’s a very clear presentation about link to that that process and the results, and then our plan coming out of the results. Sarah:	We’ll link to that. Cecelia:	But it was a very methodical process about a five-month process of which 30 subject matter expert meetings, and then also kind of lived experience exploration in three different neighborhoods. I had a community organizer on the ground, and in essence, we kind of compared and contrast that data, very low contrast, I would add, that the lived experience and the subject matter expertise was essentially aligned. Sarah:	So, you’re at this moment where you’ve got this kind of new strategic vision that’s emerged from this community conversation, and you’ve heard from your grantees, and you’ve put a lot of your program work somewhat on hold during this whole process. Cecelia:	Yes, oh hold. Yes. Cecelia:	Right. In retrospect, this was much more of an organic process than a methodical. Even though we’d been very methodical about Brooklyn insights, but coming up with actually the language around the new mission and the new vision and the values was a more organic process. It essentially involved me and my director of communications and my brand-new director of program and some board members, and we hired a person who was in communications or in branding, I should say. And the woman who was the consultant who had kind of helped design Brooklyn Insights. Cecelia:	So, it was a kind of a funny group of people. But at that point, we had kind of been so immersed in this Brooklyn Insights process, and so impressed by what community members were saying that we could be, we were really kind of owning it at that point. Sarah:	It sounds like you were also smart to avoid process fatigue, because you’d been through a robust process already. So, you had all this kind of stuff in your head. And I think it’s often the case that people just get worn out by a process on top of a process. Cecelia:	Actually, that’s super insightful. Because in a way, the process that happened over the summer was actually a much more kind of relaxed process. And the mission and the vision, we do need to see something, we have to have something in our sights. And so, Fair and Just Brooklyn just became a phrase that really stuck. And then this idea of mobilizing people and capital and expertise, which is really true, right? Because it’s the people are the grantees, and people and communities and our donors, of course, we are mobilizing them, although there was a lot of discussion about whether we should use the word mobilization. And capital of course, we are. We are a philanthropy, we are about money. We both raise it and we give it, so this is about capital. Cecelia:	And then finally expertise. Coming out of Brooklyn Insights, we were certainly not experts. But I think we were positioning ourselves as being able to maximize the resources of expertise. Sarah:	So, the five core values that guide everything you do that you settled on in this working group our courage, creativity, honesty, collaboration and respect. Sarah:	And when you talk about it all comes down to adjust Brooklyn. Do you see those values as the building blocks of adjust Brooklyn? Cecelia:	I think I actually see these values as directing us in the way that we should work. And in directing us in the way we should think about our relationships. And as you know so well through the Spark Prize, which of course has now become this really wonderful borough wide award that involves capital and people and expertise, those values are front and center. Sarah:	Just a footnote about the Spark Prize for people aren’t familiar with it. This is a great initiative of the Brooklyn Community Foundation and I’m proud to be a volunteer on the committee that gives away this funding. Cecelia:	And also, Spark is not a random to spark lasting change. And we were kind of delighted when again in these organic processes working group came to the word Spark. But it was this idea that we’re not doing change. The Brooklyn Community Foundation does not bring about social change. But we do help spark it. We are catalytic, but we really have to show some respect, which is one of our values, to the people on the ground who are really doing the work, and the people in communities who are really fighting the fight. So, that was kind of the origin of Spark. Cecelia:	And then this idea of social change, and we really wanted that out there. We definitely are giving ourselves an ethos around social justice, and I think that is inherent in the fair and just turn of phrase. So, that’s where Spark comes from. And sure enough, one of the criteria in Spark is to talk about your values. But yes, I do think it goes back to … Courage and creativity and honesty, collaboration and respect, partly came through Brooklyn insights too, right? People don’t ask us about the values very much, but we incorporate them in a lot of different places. Sarah:	Where do you incorporate them? Sarah:	A lot of word smithing. Cecelia:	… lot of word smithing. Cecelia:	I think honesty is a really interesting value. One of the things I like about it is that to me, it could have been the word transparency. I’m sure that we might even have talked about that, but it’s also kind of transparency is a very overused word. So, that’s why we just went straight for what it was, which is honesty. But in some ways, Brooklyn Insights was this immensely transparent process, where we’re like, “You know what? As the Bros Community Foundation, we actually have no idea what we’re going to do, and we are going to learn right beside you. And we’re also going to record everything we’re learning.” That’s one of the reasons we have such a comprehensive website for it and it’s really well done, is we’re going to show who were at those meetings, what were they saying, what were the salient points. Because we need to tell you there’s no secret process here. Cecelia:	I’d just particularly like to point out honesty. But again, in some ways, I think these values are more about practice then idealization. Does that make sense? Sarah:	Yeah. And Farra Trompeter often says something like, “Your brand personality is how you communicate, but your values are how you act.” So, values are guiding beliefs and principles and they shape action. And my experience as a volunteer on the Spark Prize committee. when we were asked to review these grant applications, we were given clear directives from the foundation to do so looking at does this potential grantee have values that clearly aligned with the foundation’s values? And do they bring a racial justice lens or a racial equity lens to it? So, you were really taking these things that emerged from Brooklyn Insights and training us as volunteers to apply them. Sarah:	In my office here at Big Buck, we similarly post our values. We also use them in staff reviews, and we use them very heavily in conflict resolution. So, if we’re working with somebody, for instance, a partner, a client, anybody, and there’s an elephant in the room, for instance, we will say something like, “Well, one of our core values is directness.” Which is like your core value of honesty, right? Cecelia:	Right? I love that, that you actually brought that up right in a meeting. Even when you think about Spark Prize on the Spark Prize committee, it’s super creative, it’s super collaborative, shows a lot of respect for people’s opinions, and also really is very honest. Because there aren’t a lot of foundations that would open themselves up to asking a group of 32 people to please pick $100,000 winners, right? That’s putting a lot of power into a group of people that you kind of know. Cecelia:	I think that has the creativity and has the courage behind it. The courage also, I think, is a way for us to say, “We’re maybe going to try to do this a little differently. We’re going to try to show up differently. That takes some courage.” I remember even early days when I was like no, I’m not going to be a white lady who runs this organization and claim that I have a racial justice lens, unless I actually have some experts around me. Because that quickly becomes ironic/damaging. And if it takes some honesty and some collaboration and some courage to say, “Please don’t make me defy racial justice, I need your help,” then I got to feel like that humility is maybe something we’re saying about the kind of philanthropy we’re going to do. Sarah:	So, one final question before we wrap up. If somebody’s listening to this, and they’re in an organization. Could be anywhere, any size, and they’re thinking about articulating their organization’s values, what advice would you give them for how to think about them, or how to go about doing that? Cecelia:	First of all, I would just always think, “Why do you matter?” And you matter because ideally, of the activities you do. But those activities are rooted in some values, whether you’ve actually articulated them or not. Why do you run a soup kitchen? Why do you bring services to the elderly? What motivates you as an organization? And I’m telling you, if you keep peeling it back, you’ll understand really what those motivating values are. Cecelia:	I think I would say look for sincerity. In some ways, these are very generic words. But the way they’re defined by us really went to a very sincere place that was rooted in Brooklyn insights, which was a pretty honest process. We didn’t go in with preconceived ideas. In fact, I was terrified out of my mind that we’d emerge with nothing. Because I was scared we’re going to have 1000 different opinions from 1000 different people. So, it was a risk. So, maybe also one of things I was thinking was courage, because it was risky even to do that. So, really look at your motivations and what kind of activities you’re doing and why you’re doing them, and just be sincere. It might only be two values, but it’s a way of just grounding the work you do. Sarah:	Awesome. Cecelia, thank you for being here. Sarah:	And if you like the Smart Communications podcast, please take a moment to share it with a friend or rate us on iTunes. The key to building trust with your board is candor. Craig Shelley, Managing Director of Orr Group, goes deep on what exactly that entails, how to practice it, and more.